I was never very knowledgeable about “serious” music. but I do recall a few years ago a program on public radio about piano pieces by Jean Sibelius that intrigued me, that made me say to myself, “I wish I could play”. He wrote a song cycle about trees. I don’t have any specific recollection about what these pieces sounded like. And perhaps it was merely the idea, that someone from snowy northern Europe would write about trees, that I found attractive. Today I sat wondering what five trees were so honored by Finland’s most famous composer. I was curious enough to look it up and I found that the five trees are the rowan (mountain ash), pine, birch, aspen, and spruce. Sibelius did write about other trees. But these were special, and all familiar to me. 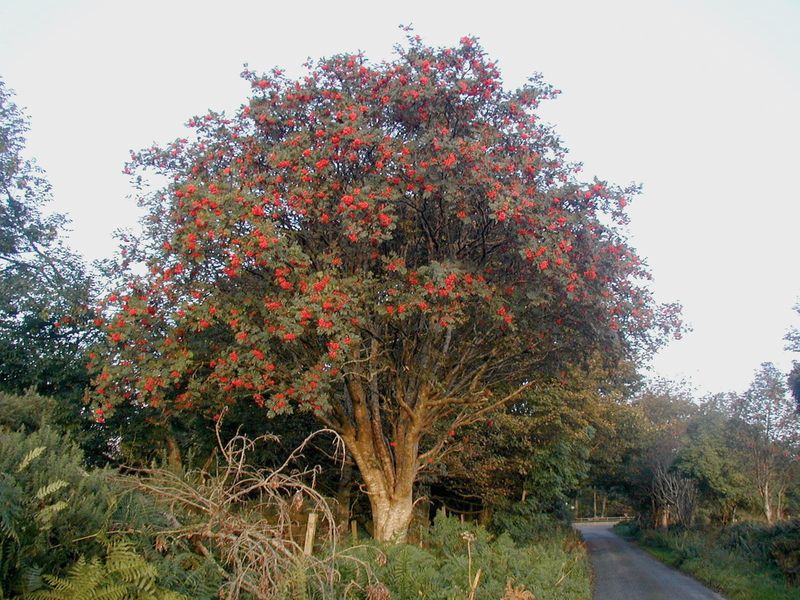 The rowan is another name for mountain ash. Its brilliant red berries are sought our by birds as a food source. People eat them too, in jellies, liqueurs, syrups, etc. The rowan has many legends and mystical stories attached to it. The most famous of these piano miniatures is The Spruce. Since winter is so long and lonely, here in MN as well as in Finland, I may as well look it up. Maybe try to play it.